That is why every London Gardeners customer is always left with a smile on their face and a garden that is beautifully maintained. 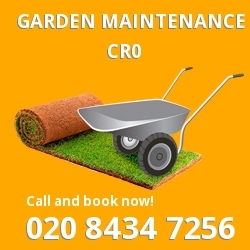 Tailoring our service to match your needs, our gardening experts in CR0 can take care of as much or as little as you need. So if you hate lawn mowing but love planting or if you hate landscaping but love the daily leaf sweeping, then our Croydon team can help with them all. If you want your garden to be a relaxing haven where you can forget about your troubles and strife then call our garden landscaping team in CR0 for some advice. 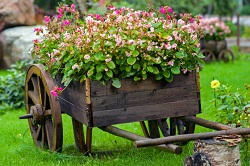 So whether you want a patchwork of rich autumnal colours, a blossoming spring delight or a vibrant summer bloom our gardening professionals will know exactly what to do. 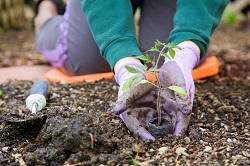 Experts at planting, sculpting and design, our Croydon gardening experts will never let you down. After creating a new garden design that maximises your garden shape, size and design, our garden landscaping team that work around Croydon can put plans into action. Ensuring that everything is finished with the utmost attention to detail, our gardening experts in CR0 will never let you down. So if you want a reliable gardening firm to take control of your new garden landscape, call our team on 020 8434 7256 today. Have you trimmed your hedges, lawn and trees only to find that you’ve got too much to throw away? Then why not call our garden waste removal team in Croydon to collect it for you? Our reliable gardening firm has an excellent collection service which can remove any of your unwanted garden waste quickly and efficiently. With our effective gardening service in CR0, we guarantee that you can be enjoying the fruits of your gardening labour in no time at all. So don’t make trip after trip to the dump, when our Croydon gardeners can save you the bother. As well as offering excellent seasonal help, our garden maintenance team in Croydon can also prove invaluable for those of you who are going away. 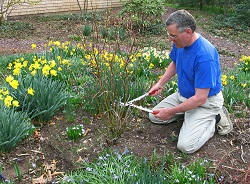 Saving you from relying on friends or family, our gardening experts in CR0 can take care of your lawn mowing, leaf clearance and hedge trimming tasks. So why let your green outdoor spaces in Croydon get into disarray while you’re away, when our gardeners can pop around for as long as you need. We guarantee that our gardening team are a reliable and trustworthy bunch who will always take the utmost care of your garden.